Someone turns SIX today! Our favorite boy, Iroquois. (Wait, did I say favorite? 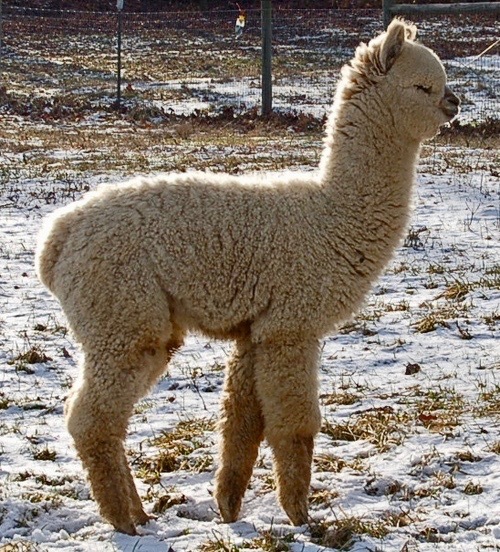 Are we allowed to have a favorite alpaca?) 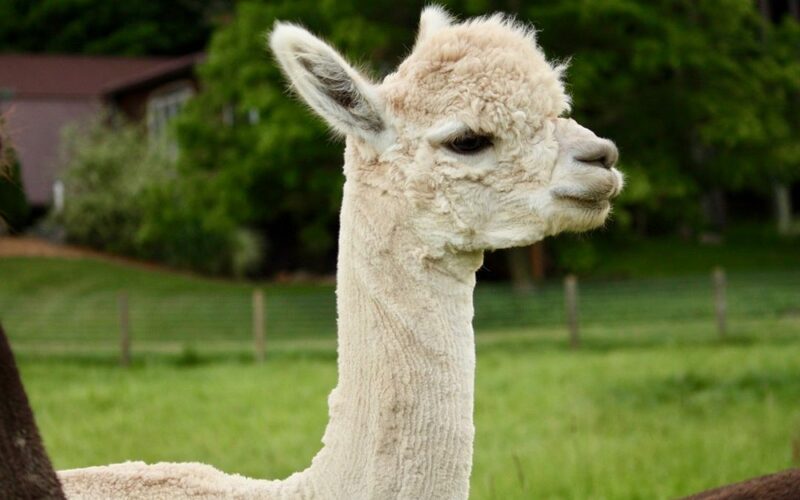 Iroquois is such a handsome boy with a beautiful light fawn fleece and we are so happy to have such quality future herdsire here on the farm. Iroquois is the son of El Nino’s Valerian (light fawn) and Coffee Pot Peruvian Lady Jane (light brown). 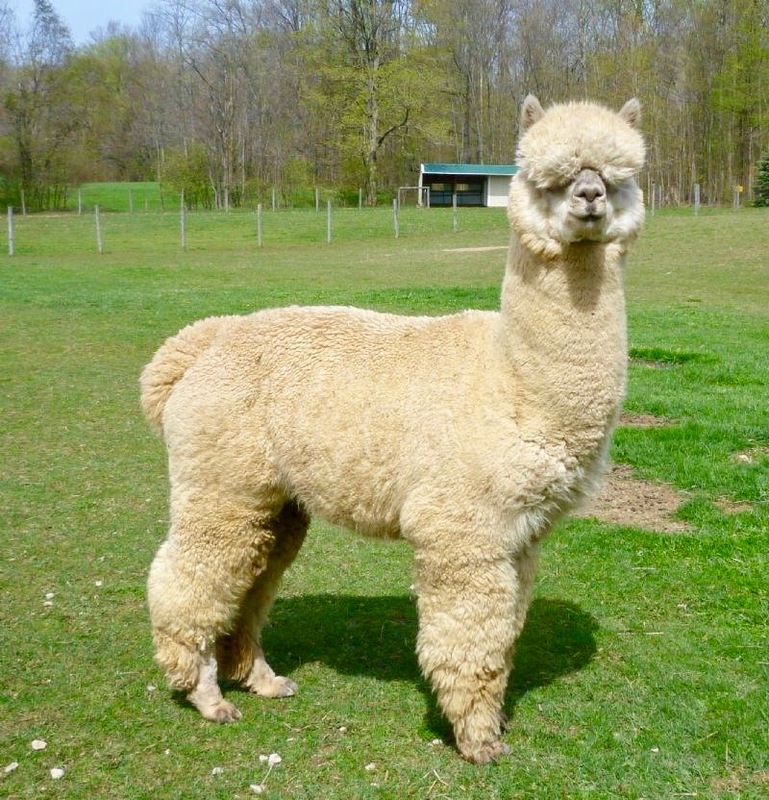 In his youth (2012 – 2013) he went to show and won the following ribbons: First Place & Judge’s Choice for Fleece (out of 60 fleeces) and Sixth Place for Halter in the Buckeye Alpaca Show, as well as Fourth Place for Fleece in the AOBA National Show. Iroquois’ fiber was tested in 2013 and beat the national averages. At 22 month of age, his micron count was AFD 19.5 SD 3.8 CV 19.2. We can safely say Iroquois will produce great genetics for our herd in the future! So far our experience with Iroquois has been great. He’s bigger than Tribute, but much easier to handle (ahem – straighten up, Boo!). He’s a gentle boy with the fuzziest long bangs which he clearly inherited from his daddy (see photo). The featured image at the top of this post is right after shearing. Just wait until you see him in all his glory this April! Happy birthday to this special fiber boy!